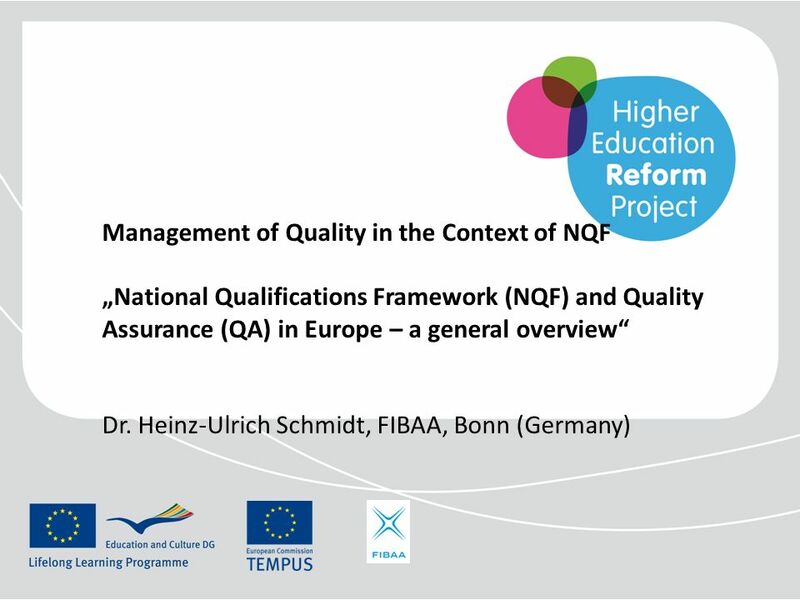 Management of Quality in the Context of NQF „National Qualifications Framework (NQF) and Quality Assurance (QA) in Europe – a general overview“ Dr.
Download ppt "Management of Quality in the Context of NQF „National Qualifications Framework (NQF) and Quality Assurance (QA) in Europe – a general overview“ Dr."
Aligning national against European qualifications frameworks: the principles of self-certification Professor John Scattergood Pro-Chancellor, Trinity. 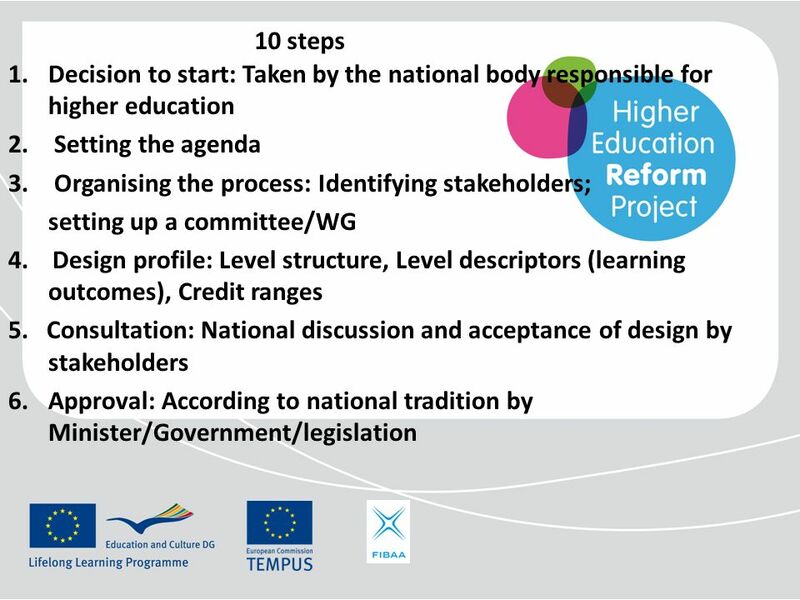 Self-certification of qualifications frameworks: background and challenges Gerard Madill Policy Adviser, Universities Scotland. Self-certification of the NQFs of the Netherlands and Flanders 27 November 2008 Mark Frederiks. Bologna Process Stocktaking Conclusions and Recommendations Prof. Andrejs Rauhvargers, Chair of Bologna Stocktaking WG 6th Bologna Ministerial Conference. 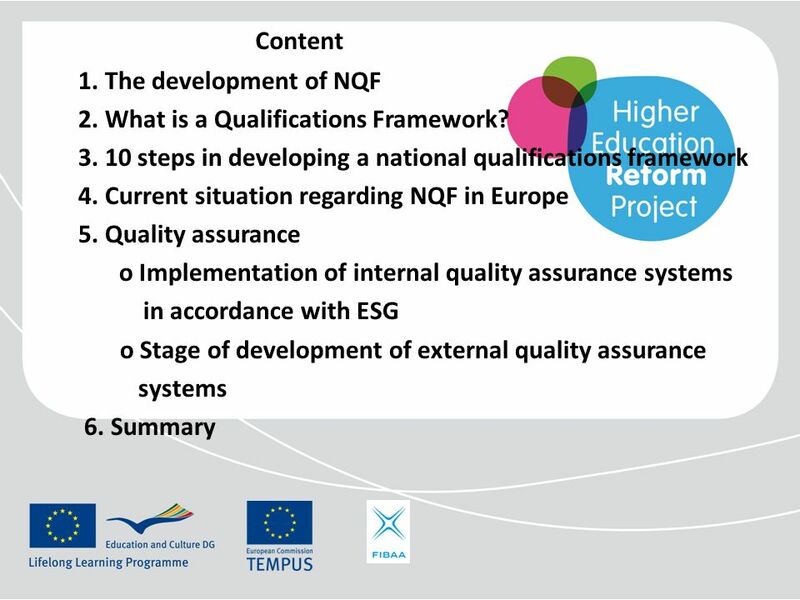 Bologna Seminar Learning outcomes based higher education: The Scottish experience Workshop 5: national qualifications frameworks and levels, and internal. Bergen Communiqué – results and implications for quality assurance Christian Thune President, ENQA Presentation at ENQA workshop: "AFTER THE BERGEN MINISTERIAL. European Quality Assurance in Higher Education after the London ministerial meeting: moving towards 2010 (and beyond) Sofia, 9 November 2007 Emmi. 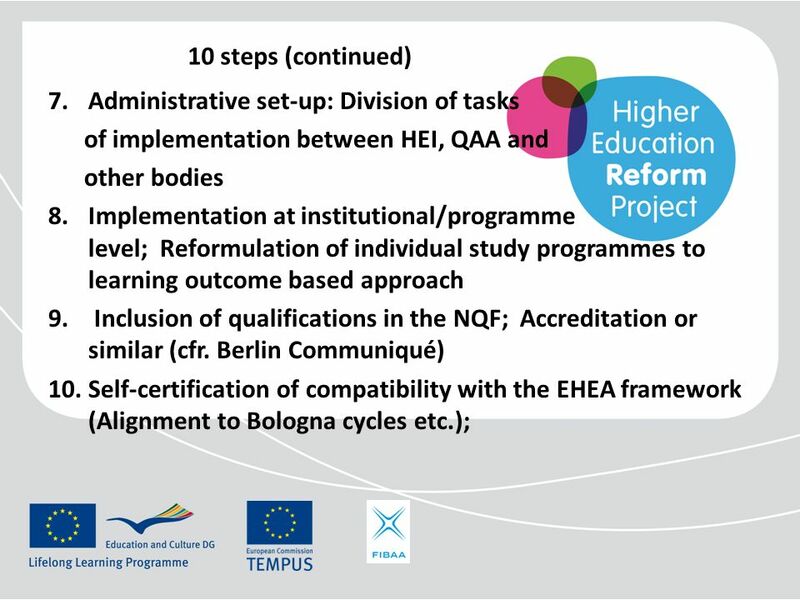 FRAMEWORK FOR QUALIFICATIONS OF THE EUROPEAN HIGHER EDUCATION AREA Tirana, March 2005. 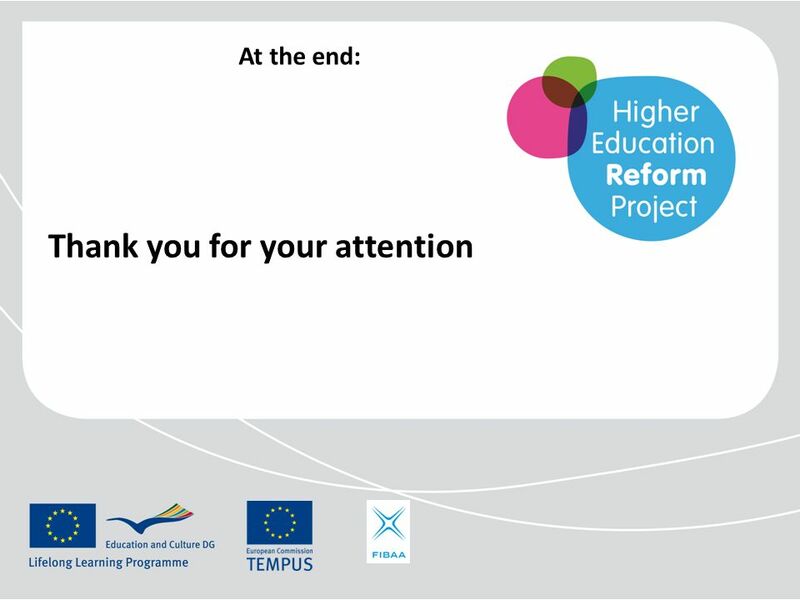 Higher education reforms in Armenia: experiences, obstacles and perspectives using the Bologna process Quality Assurance in Higher Education and Bologna. What is the relationship between the HE qualifications framework and quality assurance? Stephen Adam, June 2011. ARMENIA: Quality Assurance (QA) and National Qualifications Framework (NQF) Tbilisi Regional Seminar on Quality Management in the Context of National. NVAO’s role in framework development 7 June 2007 by Axel Aerden International Policy Advisor. Peter Williams Former Chief Executive, The Quality Assurance Agency for Higher Education, Former President, ENQA. Developing a National Qualifications Framework: the Georgian experience General Overview Nodar Surguladze Deputy Minister Ministry of Education and Science.